Albert C. Moore pioneered the academic study of religion at the University of Otago and in New Zealand. After taking an MA in History at Victoria University Wellington, and a BD at Otago, he completed his doctorate in Biblical Studies at Manchester University, where he also took courses in Comparative Religion. After a year’s postdoctoral work in Germany, and almost ten years in the Presbyterian ministry in Tapanui, he devoted a further year to study in History of Religions under Mircea Eliade and Paul Tillich at the University of Chicago. After teaching at Indiana University, he returned to New Zealand in 1966 to take up a position as the first lecturer in Phenomenology of Religion at the University of Otago, where he was to teach for twenty-five years. While he published widely on religion throughout his career, Albert’s enduring interest and most important work was on the iconography of religion. His book Iconography of Religions: An Introduction (1977) is still in print. 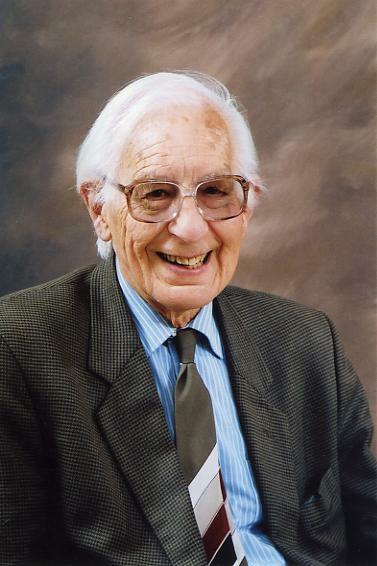 After retiring as Associate Professor in 1992, Albert continued both to publish, and to teach, notably for the University of the Third Age in Dunedin. His book Art in the Religions of the Pacific: Symbols of Life appeared in 1995. In 2001, he published Theology and Religious Studies at the University of Otago: 1946-2000, a history of the Faculty of Theology in which he was trained and the Department which he had founded, which came together as a single Department in 1997. Having been present at the first meeting of the New Zealand Association for the Study of Religions in 1970, it is perhaps fitting that his last conference paper, 'Judas and fiction in the quest for the historical Jesus' (a discussion of C.K. Stead's My Name was Judas, 2006), was delivered at the 2007 NZASR conference. His autobiography More Than You Know was posthumously published, and is available from Rachel Ovens, 64 Cannington Road, Maori Hill, Dunedin, or from the Department. Albert died on January 23, 2009, aged 82. His obituary, from the Otago Daily Times, is reproduced here with permission. The Department of Theology and Religion is establishing a biannual lecture series in honour of Professor Albert Moore. Further information about the series is available here.